Today the moon is full. This full moon is the first one of the year 2015 and follows the winter solstice. The days grow longer and the constructive forces of nature are gradually strengthening over time. The light of the full moon at this time provides a glimpse of the sunlight returning in nature. This moon is a harbinger of the coming spring and summer. This Moon’s theme are cleansing and new beginnings. You may experience an increase in emotions, and perhaps past grief and hurts are to be released now. This moon is again a perfect time straighten things out. What a great time to let go of all you wish to leave behind in 2014 if you have not already done so during midwinter. If there are things left that need to be released, this full moon is a good time to do so. This will make room for new things in the new cycle that is coming your way. Some things need to change before you can begin something new. The cleansing effect of the energy of this moon will help you in the process. Here in the Netherlands we are meditating at 8 pm. You can join me and the other Lightworkers participating by connecting to meditate at the same time, or at 8 pm in your time zone. If you cannot make this time, feel free to choose a time that is convenient and simply hold the intention to connect to us. This will amplify the meditation. You may prepare the meditation by writing what you want to let go of. You may light one or more candles before you begin. You can also burn an incense stick, or some aromatherapy oil. Start by cleansing your room. I always do this by placing a pillar of light, a platinum grid through the room and by inviting the ascension flame. Also, I always use the Archangel Michael spray of Crystal Angel Essences. Place your feet firmly on the earth to ground yourself before you make contact with the silver light of the moon. Imagine roots growing from your feet deep into the earth. Ask Archangel Michael to protect you with his deep blue cloak of protection. Connect with all Lightworkers so that we may form a network of light around the earth. You can hold a special intention for the planet, such as peace, healing and / or love. Now imagine that you are in a temple of light in the higher dimensions. The temple is a pyramid of light and is filled with a healing landscape. You walk through this landscape. There is a creek, where you can release your list of things that no longer serve you. The words will simply dissolve and the paper will perish. You walk ahead and there are special animals that accompany you and remind you that you are part of nature and the larger whole. Before you appears a beautiful waterfall. This waterfall sparkles of light and rainbows shine through it. A great angel stands beside the waterfall. 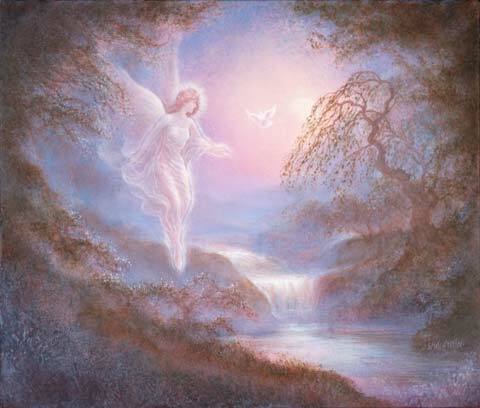 This is the Angel of Purification and you are invited to stand under the waterfall. Feel the light and rainbows flowing over you like warn water. Everything that you no longer need is washed away. All impurities, heavy emotions and pains are easily rinsed from your being. If you feel that this is done, you leave the magical rainbow waterfall. The Angel hands you a robe of light for you to wear. 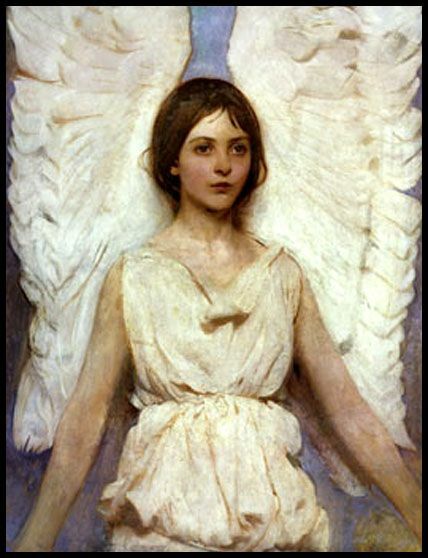 The Angel encourages you to keep your mind and thoughts pure and to return whenever you feel you need it. When you’re done, bring your awareness back to the room where you started. Move your hands and feet, stretch out and feel your body being connected to the ground. When you’re done, blow out the candle and let go of the meditation. You may use the time after the cleansing meditation to make an angel vision board with your dreams, wishes and intentions for the year to come. You will find some inspiration about this on my youtube channel. PS want to start the year with inspiration for your spiritual journey in 2015? Feel free to order a 2015 reading. Or why not gift yourself a Healing Heart Angel, a perfect sculpture just for you bringing in the Angelic Qualities you need? 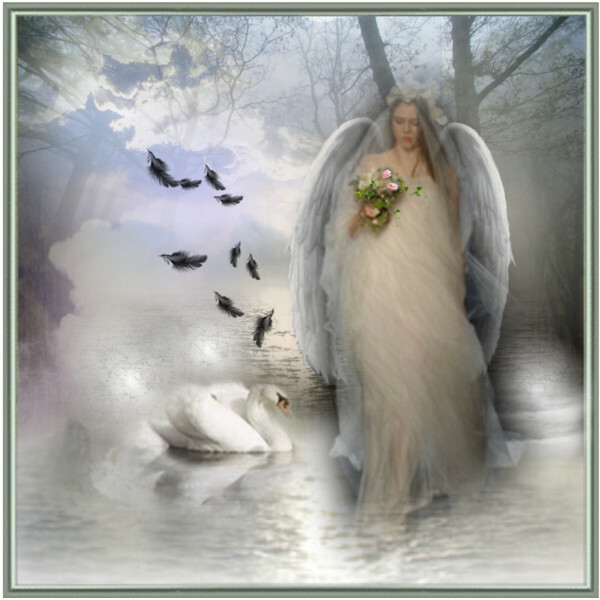 This entry was posted in Angel meditation, Light work, Moon Meditation and tagged 2015, angel of purity, full moon, january 5, meditation on January 5, 2015 by Angel Light Heart.